A UK base for a supernatural European brand. The Client: An established European drinks brand selling organic, fair trade and all natural ice teas and super juice shots. The Task: To act as a marketing and design lead for their European hubs, and give them a stronger voice in the UK market by reinvigorating their entrepreneurial energy. The Result: #OrganicMiracles - a through the line campaign focussing on the organic nature and founding story of the brand. 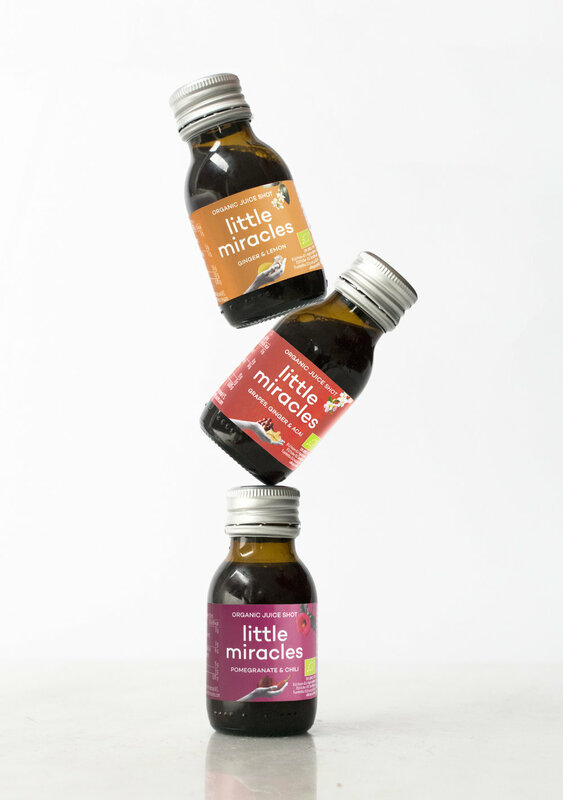 We are Little Miracles’ UK base for design, social media, digital advertising and PR.